Colour coded to help young children identify consonants and vowels in an easy fun way. 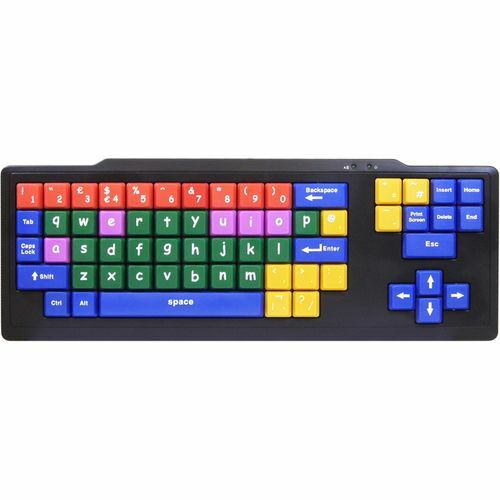 Helps remove confusion that a standard keyboard can cause by further breaking up, using colour, the different parts of the keyboard that we take for granted but is often difficult for a young person to understand. Oversize Keys with bold white lowercase lettering to help children (kids) and elderly people use a computer. Helps motor disabilities or impaired vision users too.